L.A. 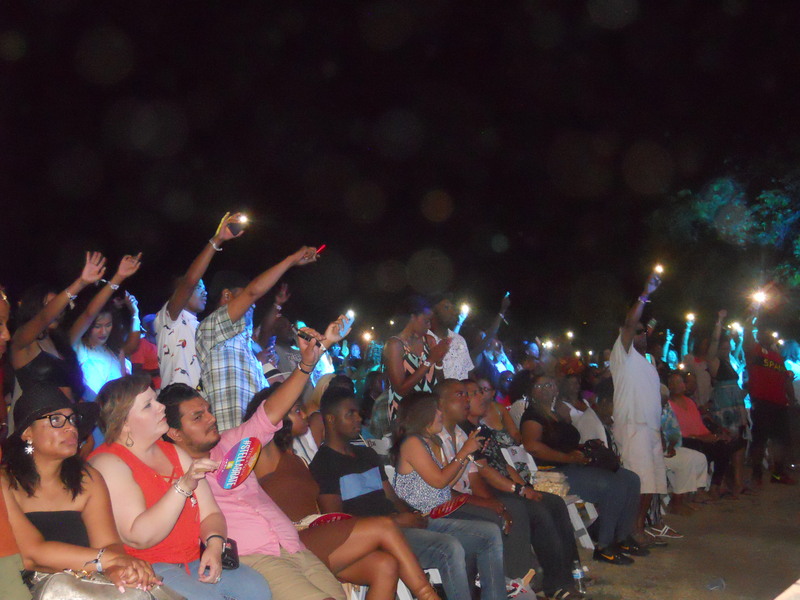 Soul Music Festival Boasts Victorious First Year - TheUrbanMusicScene.com | Music Reviews! 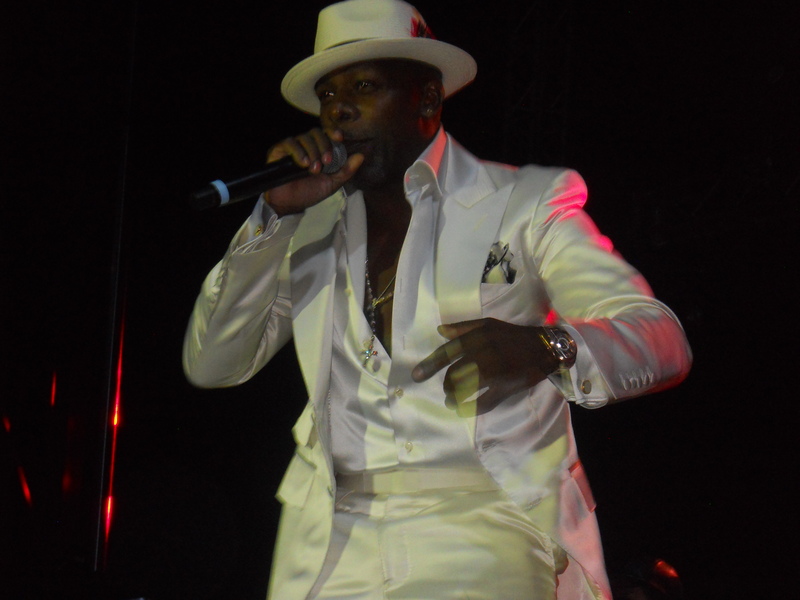 I chose to check out the happenings on Saturday which gave me three female artists (Goapele, Vivian Green and Angie Stone), one band (Loose Ends featuring Jane Eugene) and one male in the headlining closing slot (JOE). The crowd – 70% female to 30% male and 95% Black – was deeply into the music and the peaceful drama-free surroundings. Folks were able to bring in food and beverage from home but also had an array of food trucks to peruse serving seafood, soul food, Mexican food, New Orleans delicacies and much more. Patrons could relax enjoying the show before them and via two HD screens on either side of the stage. Northern California’s Goapele (recently transplanted to L.A.) opened, delivering a strong set that included her first hit, “Closer,” a passionate cover of Prince’s “Nothing Compares 2 U,” a couple from her latest CD Strong As Glass (including “My Love”), a dip into Roy Ayers “Everybody Loves The Sunshine” and her closer “Love Me Right.” Poised and vocally on-point, Goapele didn’t move a lot. She performed as much with her eyes and body language as she did her voice, making her a solid artist to open things with something to build upon. 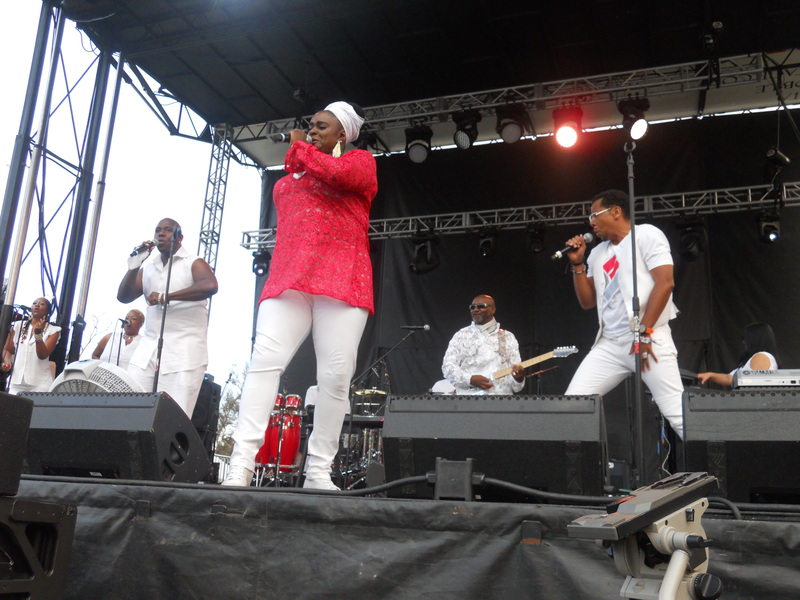 `80s British import Loose Ends featuring original female vocalist Jane Eugene stormed the stage with an 8-song salvo of greatest hits. Flanked by singer Robert Gee and toaster/hype man Palo Santos, Jane led the trio, three background singers and a band led by funky and seasoned guitarist Craig T. Cooper through energetic romps of “Stay A Little While Child,” “Gonna Make You Mine,” “Watching Watching You” and “Mr. Bachelor.” Most poignant was “You Can’t Stop the Rain” which Jane dedicated to a friend dealing with loss via her seamless handoffs with Robert then each of the background singers. This was followed by a closing one-two punch of “Slow Down” (I missed the sax on this) and “Hangin’ on a String” which detoured into the shocking and infamous ribald chant of “The roof is on fire” – didn’t see that coming from them! Vivian Green offered a mid-show cool down of sultry jazz material highlighted by her debut smash “Emotional Rollercoaster” and a cover of Sade’s “Is It a Crime” which brought the crowd to its feet. Stalwart Angie Stone was the conscious sister ushering in the night shade with thoughtful pieces like “Everyday” and “No More Rain (In This Cloud).” Her set was highlighted by a three song tribute to tragically departed soul artists Prince (“When Doves Cry”), Natalie Cole (“Inseparable” on which she, too, featured each of her background vocalists) and Maurice White (Earth Wind & Fire’s “Can’t Hide Love”). Also powerful was “Black Brother” which she dedicated to the Black Lives Matter movement, decreeing in an aside to crooked cops, “I have a 19 year-old son…I ain’t playin’ with you folks!” The extra time she took to milk the timeliness of the latter had her rushing through her latest #3-charting hit “2 Bad Habits” to literally running off stage singing her older hit “I Wish I Didn’t Miss You” from the wings and backstage stairs. L.A. has long needed a mid-level soul festival where fans can have an economical afternoon into evening out filled with first rate talent. Here’s to The Soul Music Festival becoming an annual happening that never grows too big for its britches.